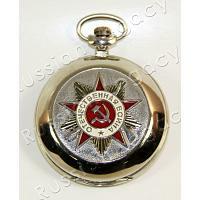 Authentic Russian quartz watch by Slava. 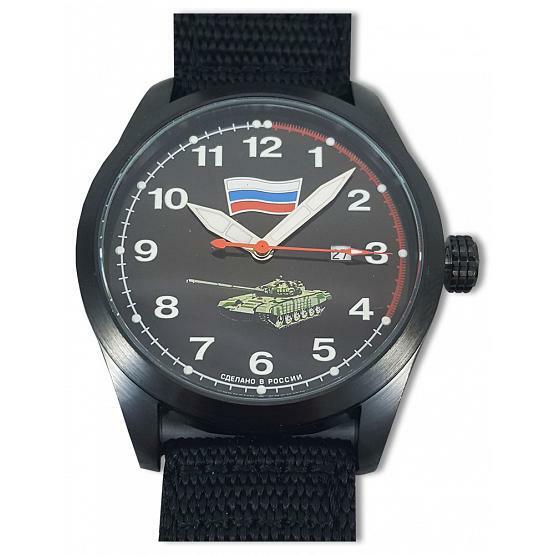 Features the T-90, the main Russian Army tank. 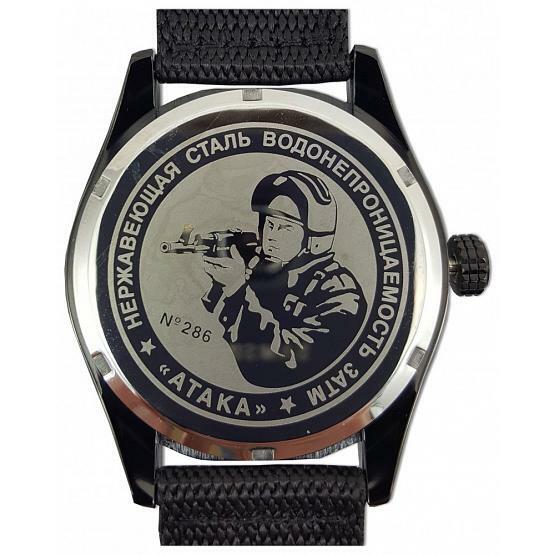 Specifications: aluminum body, mineral glass, 3 ATM waterproof, 43 mm diameter, 10 mm width, textile strap. Imported from Moscow. Ships within 7 business days.